Theresa May, lest we forget, assured us repeatedly that Britain would be leaving the EU on 29th March 2019. Then when that didn't happen she said it would be by June 30th. Now she has agreed to an extension until Halloween. How appropriate, because the whole thing has turned into Nightmare on Downing Street. It needn't have been such a horror movie. The basic problem has been that while the public (17.4m of them) voted Leave, the political Establishment has been largely in favour of Remain. That Establishment includes the Prime Minister who supported Britain staying in the EU in 2016, albeit from behind the sofa. As I tweeted earlier in the week, you could say that she has handled Brexit disastrously. But that's only if you accept the premise she wanted the UK to leave. If her aim was to sabotage Brexit, while appearing to be in favour, you'd have to admit that she's played an absolute blinder. Theresa May has handled #Brexit disastrously- but that’s only if you accept the premise she wanted us to Leave. If her aim was to sabotage Brexit, while appearing to be in favour, you’d have to admit that she’s played an absolute blinder. — Neil Clark (@NeilClark66) 8 апреля 2019 г. To get a good deal from the EU it was common sense that the government had to prepare properly for a No Deal. Instead Mrs May signed up to a 'Withdrawal Agreement' that involved the UK paying the EU £39bn. Not even John Cleese had to pay that much to his ex-wives. Not surprisingly, Brexiteers found it hard to vote for the Agreement. Some even said it was worse than staying in the EU. They had a point. May tried three times to get her not very good 'deal' through Parliament and three times she failed. She should, had she really been serious about delivering Brexit, have said that after this failure Britain would leave without a deal. That would, I believe have led to movement from Brussels. That's because European business — and in particular German manufacturing, has been desperate to avoid a No Deal Brexit. You don't have to be an Emeritus Professor of Economics at Oxford University to understand why. The UK had an overall trade deficit of £67bn with the EU in 2017. The deficit on trade in goods was a jaw-dropping £95bn. In other words EU countries exported £95bn more in goods to the UK than the UK exported to them. Britain's biggest deficit is with Germany. In 2017, the German trade surplus with Britain stood at £21bn. 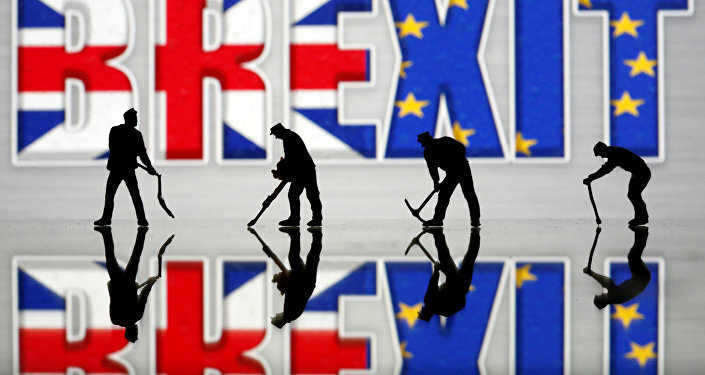 The prospect of unfettered EU/German access to the lucrative UK market changing in any way was causing great, and understandable, alarm in boardrooms across the continent. May could have used this concern to Britain's advantage to extract more concessions. She chose not to, and threw her trump card away. Whatever you do, make sure Theresa's never your partner in a game of Whist. The fault though is not just hers. Cabinet colleagues who made it clear they opposed a 'No Deal' Brexit are also culpable. So too, as I noted here, are the 'Bad Boys of Brexit' who celebrated far too early. The same people who told us, quite correctly, that the Establishment would do everything they could to keep us in the EU, rather naively seemed to believe that the referendum result would be the end of the matter. As if. They were celebrating when they should have been forming Brexit Watch Committees. You could stay that Brexit was doomed the moment it was decided that MPs, far more pro-EU than the general population, would have the final say. As I argued in a previous column, rather than enhancing democracy in Britain, Parliament actually curbs it. It's there to subvert or neuter public opinion; not to represent it. We see this on issue after issue, not just Brexit. Leave meanwhile had some right-wing 'Empire Loyalist' Tories, some Labour MPs, The Communist Party, a divided UKIP, and that guy who owns Weatherspoons. It was hardly an even fight, was it? Then there's the social demographic of Leave/Remain supporters. Social classes A and B, the ones most represented in the Establishment, and the ones with the most clout within the system, voted 59% to remain, while classes D and E backed Leave by 64%. If it had been the other way round, does anyone seriously doubt we'd have been out of the EU by now? Indeed an analysis of class and economic power not only explains why Brexit hasn't happened yet, but also why it is unlikely to happen, barring a political revolution. That 'revolution' would mean moving away from the current model of Parliamentary 'democracy', through which powerful interest groups can quite easily subvert majority opinion, to something more direct and more democratic. If one good thing comes from the failure to deliver Brexit, it's that it will hopefully get people to question the way we do politics in Britain. How we hand over, very meekly, our democratic rights to those who then take great delight in ignoring us. In the words of the late, great Charles de Gaulle, the Brexit debacle has shown us that politics is too serious a matter to be left to the politicians. Particularly those who keep breaking their promises like Theresa May. Follow Neil Clark @NeilClark66 and @MightyMagyar.